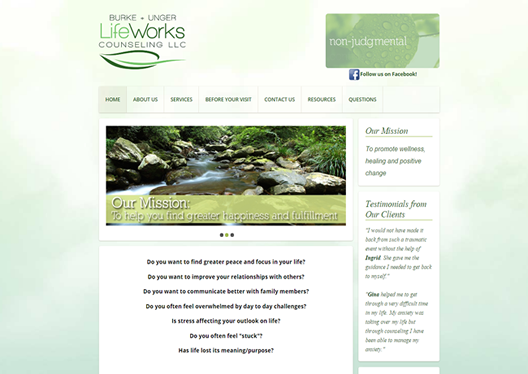 LifeWorksNJ was initially getting hacked significantly. We assisted them by setting them up with a sucuri account, then we started the process of upgrading their site to the newest version of joomla, Joomla 3.4 We taught the owers how to update content, add new flyers, add new pdf forms to the site. The owners can now manage the site on their own, and do not need to rely on a developer!